My sister has dealt a couple of times with the horrors of a home invasion. Actually in her case it was the attached home office and shop that were invaded. She filed a police report and they asked if she had any cameras they could look at it. She did not. She decided to install a wireless hidden security camera. After looking all over the place and finding many models and styles on the market that are hidden in clocks, smoke detectors, stuffed animals and more, she found they just did not have the quality picture she wanted. The Police told her that a camera would be a great idea as long as the picture quality was there so that they could hopefully identify the intruder. There is no point in simply capturing dark shadows on a poor quality camera. That would be frustrating; knowing that there was someone in your home or business or even your cottage but all you see is shadows. She found many of the systems disguised as other objects didn’t seem to have the quality picture she wanted. She also needed to be able to see into the room when it was dark or with low light. 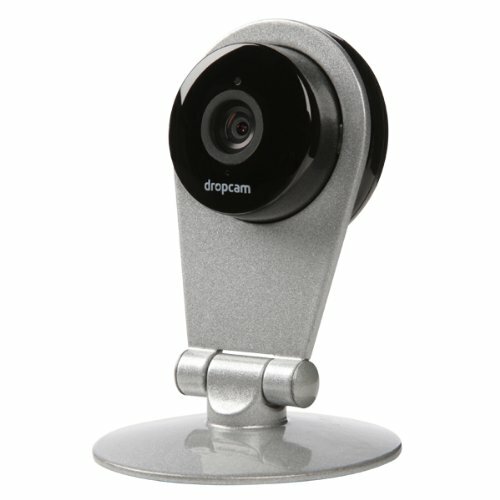 She then opted for the Drop-Cam Wireless system so she could check in anytime from anywhere. It is small enough to hide on a shelf. She has this situated on the top shelf in her business office, and aimed for the door. She positioned it between books and speakers so that it was not too obvious and basically hid it in plain view. It takes in a wide viewing area too. are a nice small size and fantastic quality picture. These systems are so easy to operate. All you need is an electrical outlet to plug it in and a Wi-Fi system. Once setup you can then view this anywhere and anytime from your laptop, tablet or your phone. This system could also be used to monitor a baby’s room or see what your pets get up to while you are not there as well. There are many features, such as zoom in and out and two way audio too! Of course it is better to try and keep the intruders out of your premises in the first place by keeping doors and windows locked, but this can be another layer of security when it comes to uninvited guests. She also has a dummy security camera just outside the door with a flashing red light, which leads onto her driveway. She has taken these extra steps because of her business and the tools she stores in her shop. She has her staff lock them away at the end of the day as well so that nothing is left in plain view. She also put “frosted” window film on the door window so that you can’t get a good look inside her office. Many intruders simply want to “grab and dash” fast, so if it becomes difficult to find things quickly they will leave. In her case she was lucky because the intruder couldn’t get into the locked away tools so opted to take the office printer instead. Once she cleaned up a few papers and some mess she realized that was the only thing taken. It could have been much worse as the keys to the works vans were in the office too, but in a hidden location. This intruder simply didn’t want to spend too much time in there looking for these things. He was caught a few days later as he did show up on someone else’s security camera and he had looked right in the camera not realizing it was there.